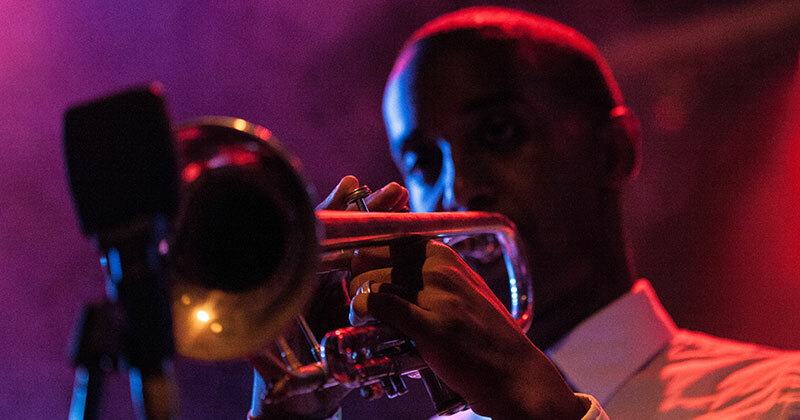 Kansas City is world renowned for its rich jazz and blues legacy. Jazz in Kansas City was born in the 1920s and continues today in clubs and events held throughout the city. More than 40 area nightclubs feature jazz on a regular basis. The roots of Kansas City jazz are quite varied. Blues singers of the 1920s and ragtime music greatly influenced the music scene. Settings such as dance halls, cabarets and speakeasies fostered the development of this new musical style. In the early days, many jazz groups were smaller dance bands with three to six pieces. By the mid-1920s, the big band became the most common. Territory bands also had an influential development on jazz. Many great musicians got their start in these bands, traveling up to 1,000 miles between jobs. While jazz began in the 1920s with a bang, it flourished in the 1930s, mainly as a result of political boss Tom Pendergast. During prohibition, he allowed alcohol to flow in Kansas City. As an entertainment center, Kansas City had no equal during these dry times. This "wide-open" town image attracted displaced musicians from everywhere in mid-America. Throughout the Depression, Kansas City bands continued to play while other bands across the nation folded. The city was shielded from the worst of the Depression due to an early form of New Deal-style public works projects that provided jobs, and affluence, that kept the dance-oriented nightlife in town swinging. Kansas City’s 12th Street became nationally known for its jazz clubs, gambling parlors and brothels, earning the city the moniker, “The Paris of the Plains.” At its height, 12th Street was home to more than 50 jazz clubs. Just six blocks to the south, jazz also flourished at 18th & Vine, which became nationally respected as the epicenter of the city’s African-American community. Another great outcome of Kansas City jazz was the jam session. After performances, musicians would get together to exchange ideas and experiment with new methods of playing. The best local and out of town musicians would take part in these jam sessions that lasted all night and well into the next day. Many downtown clubs were the scene of jam activity as well as the Mutual Musicians Foundation. This union hall, which still stands today as a National Historic Landmark, remains open on weekends for all-night jam sessions. The Pendergast political machine collapsed after Tom Pendergast was indicted on tax evasion, reform elements took over and nightclubs and cabarets shut down. Jobs for musicians dried up and the bands took to the road. By 1942, with the turmoil of World War II, many of the musicians had been drafted. Finally, by 1944, the great Kansas City jazz era slowed down, but it didn't totally die out. Today, jazz still thrives in Kansas City. In the history of Kansas City music, blues formed the basic vocabulary for KC-style jazz. The blues originated as a rural Black vocal music with a style improvised to the rhythms of work. That early rhythm evolved and gave birth to the blues, and eventually to Kansas City jazz, a kind of blues that jumps with a jazz sound. In fact, the city's first jazz recording by Bennie Moten in 1923 was "Evil Mama Blues."